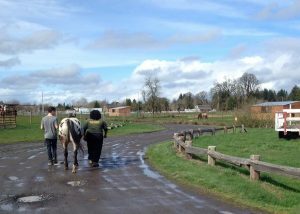 Silver Buckle staff thoroughly evaluates and assesses all potential program horses. Only a small percentage of applicants meet our high standards of excellence and are accepted into our program. Horses are evaluated on their merits of temperament, soundness, training, and compatibility with the various levels of riders and activities performed. The safety of our students is our highest priority. 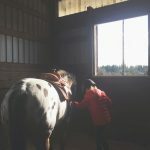 Our program horses are crucial to the vitality of the ranch and held to a very high standard. In return they are treated and cared for with the upmost regard and respect. 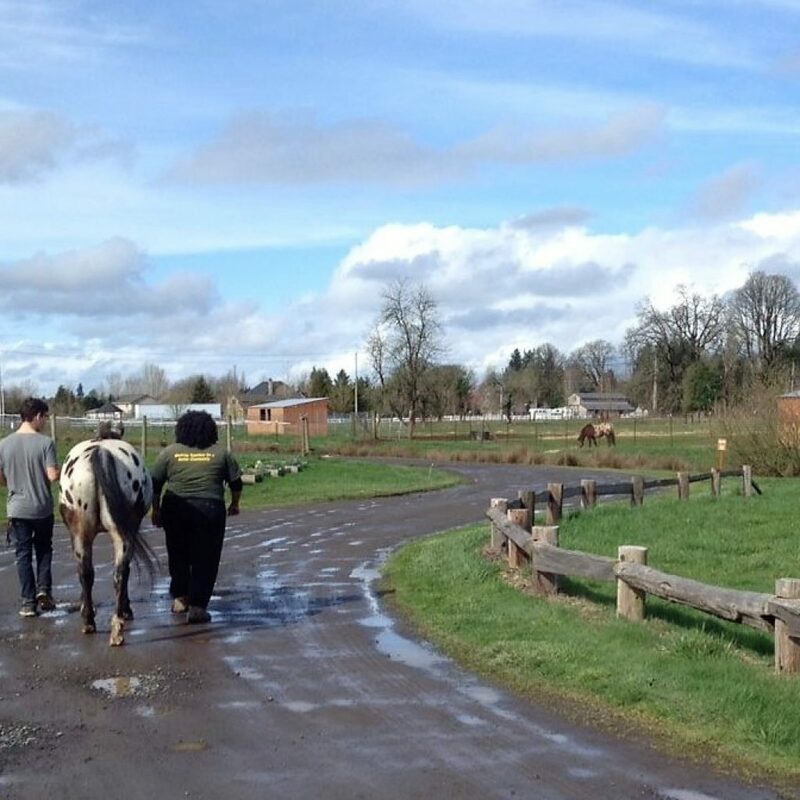 Chip is a 26 year old Quarter Horse who has helped many people in Clark County learn to ride. 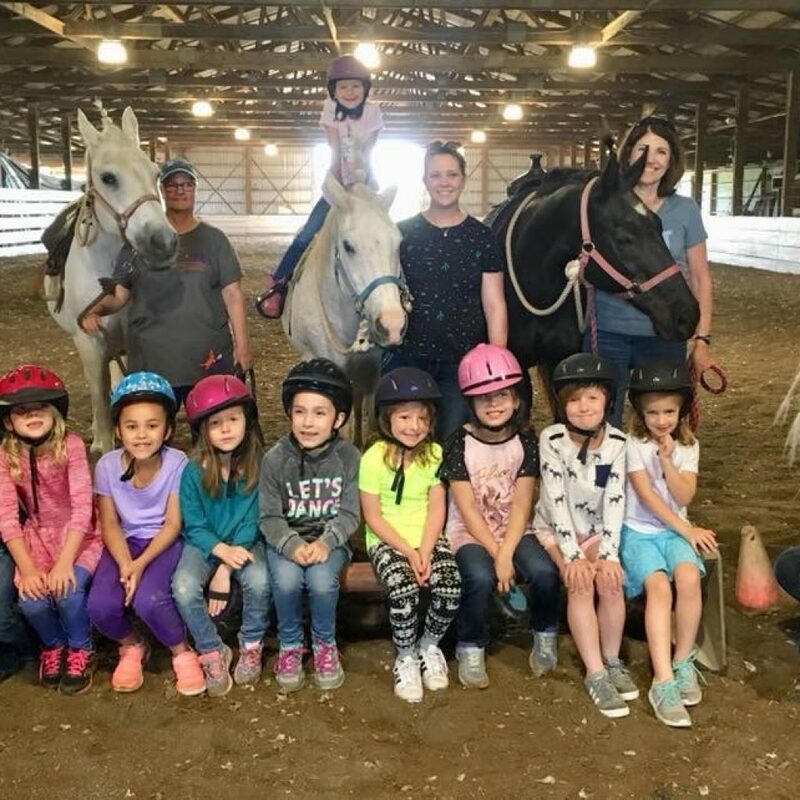 Chip has been on a Washington State High School Equestrian Team, received awards for participating on a competitive drill team, and spent many years competing at the Clark County Fair. 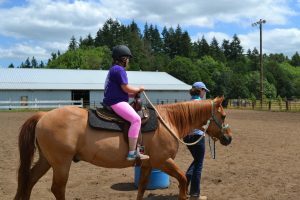 Chip is a willing and funny gelding who has lots of personality. Come and say “hi” to him at the ranch! 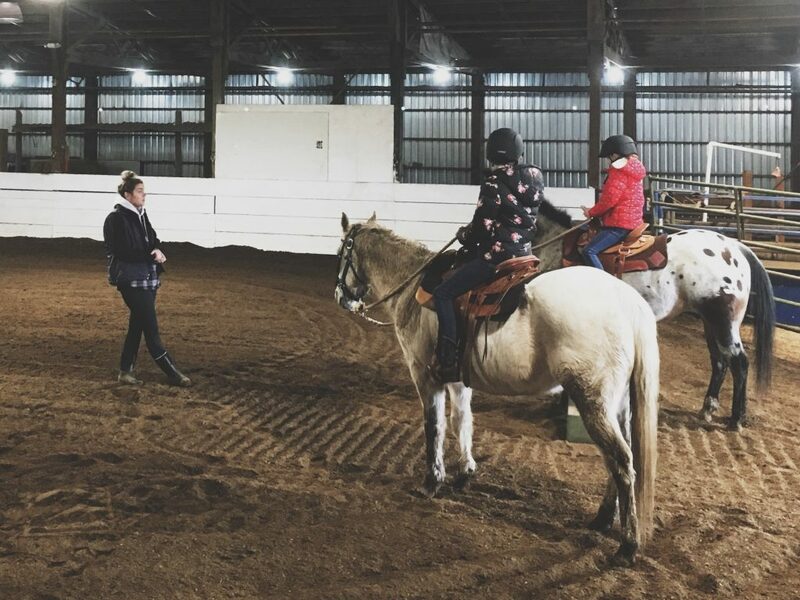 Pepper is a twenty-four year-old grey Quarter Horse gelding who was donated to Silver Buckle Ranch in 2009. Pepper is a kind and patient teacher and has years of experience under his girth. From lessons to parades and even drill teams, Pepper has just about done it all. Rocky Top Notch (“Rocky”) is a fifteen-year-old Pony of the Americas who has semi-retired from the show ring having achieved Supreme Champion status in his breed with his Registry of Merits in all three categories of Halter, Performance, and Timed Events. Rocky was shown all over the United States and has Regional, World, and International trophies in every event from Halter to Reining to Gaming events and is now enjoying his time riding the trails with his owner (who is also our Ranch Board President) and teaching young riders at Silver Buckle. 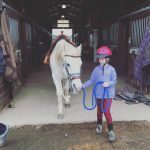 Lucky is our newest program horse. This elegant gentleman is a 26-year-old Quarter Horse who is all black, quite tall and has white socks all around. 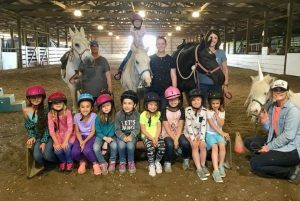 Lucky’s owner is attending college out of state which gives him lots of time to spend entertaining kids at birthday parties and growing confidence and skills in young riders. 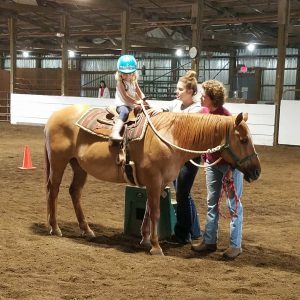 He has done it all, but his current favorite things is teaching lesson students how to properly round barrels preparing them for barrel racing competition. Buttons, also known by her registered name “Silver Lady,” is a sixteen-year-old Shetland cross. Prior to coming to the ranch, Buttons was used in parades, plays, field trips, and taken in classrooms as well as ponied along on trail rides. 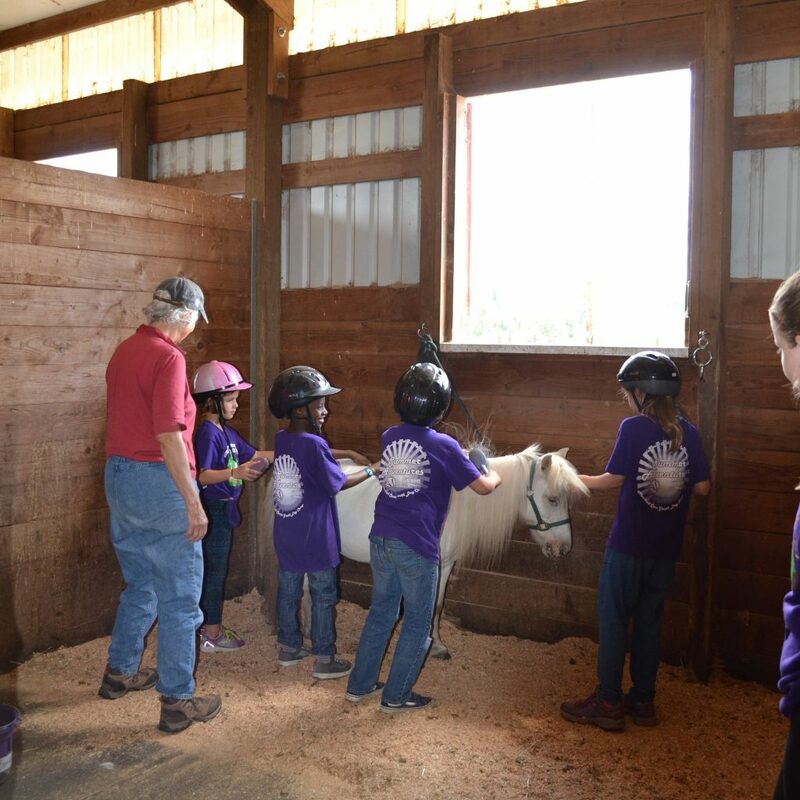 Buttons was donated to Silver Buckle Ranch in 2009 and takes the cake at our birthday parties!